Summary: (4/5 stars) Into the Drowning Deep is a monster thriller novel with the pacing of a movie and reminds me a lot of Michael Crichton’s later work. The basic premise is that a big, scientific ship is going to the Mariana trench to do some marine research. Some of the people on the ship are going to investigate the deaths of all the people on another ship that went there seven years earlier. Some of the investigators believe that the other people were killed by previously undocumented sea monsters that everyone calls mermaids. Spoiler alert: A buncha people die. It’s fun! This is described as “Rolling in the Deep #1,” which suggests that there’s another book. But Rolling in the Deep is a prequel that follows the ship that was lost seven years before this story. So, I don’t really know what’s going on with this as a series. SPOILER WARNING: From this point forward, I’m going to discuss this book without any concern about spoilers. So, if you don’t like spoilers you should stop reading now. Seven years ago, the Atargatis was discovered adrift, all crew mysteriously lost. There’s some video footage of some people being killed by gruesome “mermaid” creatures with humanoid torsos and eel-like hindquarters. Nevertheless, most people believe the mermaids are a hoax and don’t take the situation very seriously. Atargatis was out in the ocean to film a documentary for a big media corporation called Imagine, so this book is about Imagine contracting a new crew of scientists and media people to do a new documentary. There’s nothing surprising about the structure of this story. It’s paced like a movie, by which I mean it moves very quickly with lots of suspense and action. I do wish a little more time were spent describing marine biology because I think that’s neat, but overall it flows really well. Also like in a movie, the characters are a range of likable and unlikable characters based on various tropes. There’s the “evil” corporate minion. The bitter scientist with a theory no one takes seriously. The sister out on a mission to get revenge or closure. The psychopathic weapons people who want to kill everything. And I like the monsters, which are more accurately called sirens, not mermaids. The book explains why and I’ll leave the mystery. But the book does very strongly hint at a possible continuation of the series. Anyway, I really liked this book. Great summer reading! Or autumn. Or winter. Or anytime you like to read fun stuff. (5/5 stars) This is an exploration of shame as a punishment, as a fundamental human impulse, as a force for good and bad. 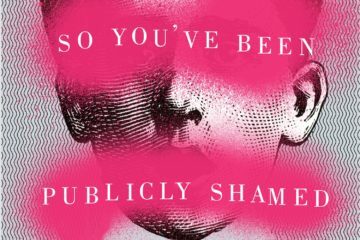 Ronson goes into a little bit of the history of how shame has been used in the past, but focuses especially on how shame functions in our internet-based society today. To wit, he explores several contemporary case studies in shaming. This book functions in some ways as a collection of essays rather than a structured exploration of ideas. As such, there are points where he pursues aspects of shame that seem to be a digression from the core theme, for example the parts about Radical Truth and humiliation paraphilia. 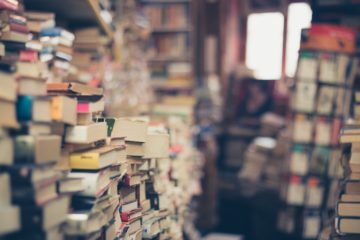 Those parts don't make the book less interesting, but readers should be warned: you probably won't come away with any strong conclusions about what can be done about internet lynch mobs. In sum, this book is funny and thought-provoking. I highly recommend it. OMG. Book Reviews! And a Special Note. I'm way behind on my book reviews again, so here's catching up. Also, a special announcement regarding future reviews on this site. 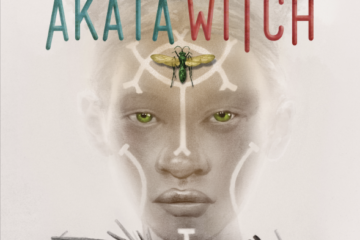 (5/5 stars) I'm not sure where I heard of Akata Witch; it was probably one of my podcasts. I was just excited to read a fantasy novel based on a magic system from a non-European mythology. I did not know it was a YA novel, though, and I was very delightfully surprised by what I found. The story structure and plot aren't exceptionally different from other stories of this sort: a young outsider learns that she has a destiny and finds camaraderie in a community of other outcasts. But the characters are fun and interesting. The culture is lush and fascinating. And the magic system is scary and fascinating. Overall, I really enjoyed this book quite a lot.